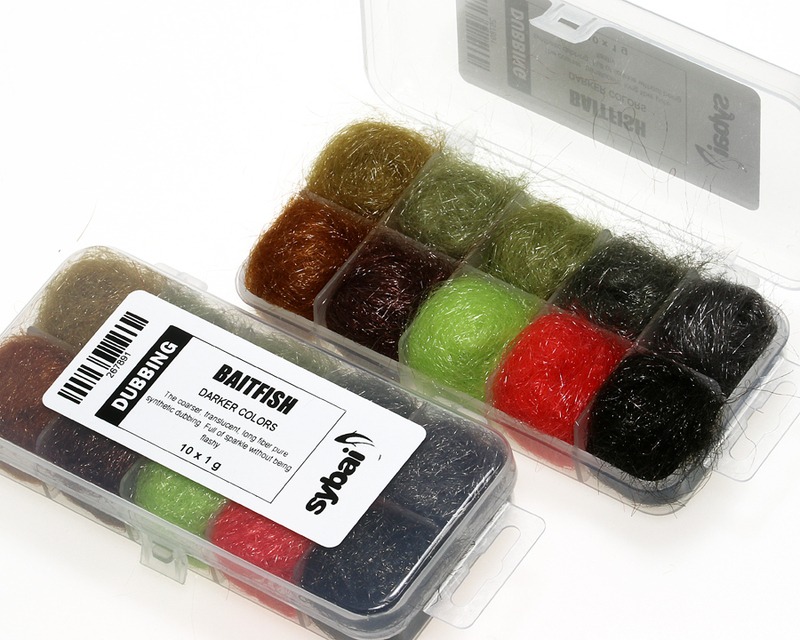 The coarser, translucent, long fiber pure synthetic dubbing. Full of sparkle without being flashy. Very easy to work with. You can use as alone or as blend with natural fibers. Many uses from larger trout flies to steelhead/salmon and bonefish flies (baitfish and Shrimp patterns).